For many people, clothing is medium of artistic self-expression. Clothing can also be a way to express, and advance, your values — and given that clothing might be the largest discretionary line-item in your budget, that’s worth thinking about. What do I mean? I am not talking about wearing slogan t-shirts. (Remember: Legible clothing is not for work.) I mean spending your money on clothing that is produced by companies that share your values on the environment and worker protections, or support philanthropic causes that you care about. Fashion is a trillion-dollar industry and globalization (for my Commonwealth-nation readers, “globalisation”) has turned every ocean route, flight-path, highway, and billy-goat trail on the planet into a production and/or supply channel. Global integration has yielded tremendous benefits for me personally, because it has enabled a company like YOOX to collect each “last one on the rack” from the far corners of Europe and Asia and bring them to Clifton, New Jersey to await further instructions from me. But globalization is imposing heavy costs on our planet and some of its most vulnerable citizens, too, and we can only free-ride for so long. Look for Supply Chain Integrity: Buy from labels and retailers that take responsibility for their supply chains, by auditing them to ensure that work is being performed with worker and environmental protections in place. On Last Week Tonight, John Oliver did a terrific segment on this issue and pointed the finger at some of the world’s largest retailers: H&M, GAP and others. GAP was singled out for special criticism because it has repeatedly been exposed for child labor violations over the last 20 years. Many companies now post statements about their manufacturing standards on their websites, so that’s a reasonable starting point. Here are JCrew’s. Buy Natural Fibers: Clothes made from natural fibers are better for the environment because they are easier to recycle and quicker to decompose. So look for cotton, silk, and wool. (A small amount of synthetic content — e.g., 2% spandex — is ok. The Directrice loves stretch fabrics.) Note: The process of manufacturing fabric from natural fibers is not necessarily better for the environment than the manufacture of synthetics: both consume a lot of water and energy and involve a lot of chemicals. Buy Higher Quality: Poorly made clothes that fall apart or fade after a few wearings wind up in landfills. They aren’t worth repairing and they aren’t even worth shipping to disaster sites, so even if you think you are donating them to the needy, it’s unlikely they will be worn again. They are likely, at best, to be sold to the wiping-rag industry (yes, that’s a thing) where they will be impressed into service in car-washes. But remember: While higher quality clothes are likely to be more expensive, expensive clothes are not necessarily higher quality. So look at fiber content, country of origin, and manufacturing standards. Buy Locally: Locally-made clothes (for me, made in the United States) should be manufactured in compliance with environmental and worker protections. That’s a good thing! Nanette Lepore is one of a small number of nationally distributed U.S. labels that manufactures in the garment district of New York City. And there are other companies working on a smaller scale to manufacture clothes domestically. 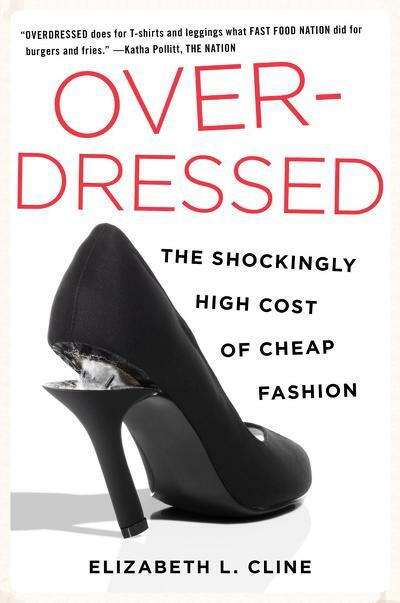 If any of this piques your interest, I highly recommend Elizabeth Cline’s book, Overdressed. 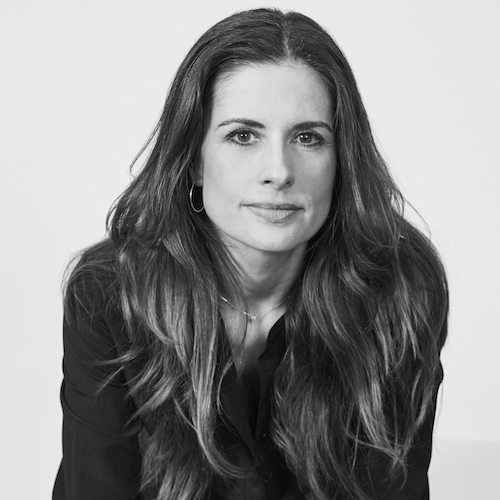 Ms. Cline has written intelligently and incisively about how changes in manufacturing and consumption have overloaded the planet with useless, cheap clothes that are exacting profound costs on the environment, consumers, and workers. However grim that may sound, she is an engaging, lively writer. In a throwback to the muckraking era, she traveled to Dongguan, China (Pop. 8,000,000), posing as an aspiring designer to meet with factory managers and check out conditions. For authenticity she printed fake business cards for her non-existent company and put together a “line of cheap fashion” samples (her words) from her own closet. The book is a page-turner and she ultimately offers some reasons for optimism. You may also want see The True Cost, just released last week. 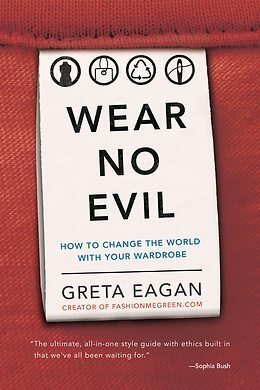 And if you are looking for more guidance on environmentally-conscientious shopping, you may want to read Wear No Evil by Greta Eagan. Ms. Eagan has devised a dazzling matrix for rating the integrity of garments. Very helpful for the rule-driven. I am not holding myself out as an authority on these topics, or a role model, but just wanted to share some interesting reading. I hope you’ll come back on Friday for Casual Friday: Smocked! Thank you for this post, Directrice! Good and thoughtful post. This is something that’s really hard – we have such a disposable culture and the long lasting and wide-spreading effects of what we toss are hard to see. Hi Leslie — I clicked on your name (because I thought you might be a friend named Leslie) and it brought me to your website. Your paintings are beautiful! Really, just wonderful. I am so glad you are enjoying the blog. Was amused by the “guess your name post” – my eldest daughter’s middle name is Victoria as well! Directrice, I’m glad that you’ve written on such an important topic. As an environmental scientist who works on issues of social equity, I’m very concerned about humanity’s impact on our natural resources and the consequences for future generations. I’d very much like to align my clothing purchases with my personal and professional ethics. However, I’ve found that the most socially and environmentally responsible companies – Eileen Fisher, I’m looking at you! – are too expensive to justify for basics like T-shirts and jeans. So, I’ve resolved to buy fewer, more carefully considered items that I can wear for a number of seasons and to (try to) ignore the temptations of fast fashion. Rhizophora — I am glad that people like you are working on high-level solutions to these problems. And those of us without the expertise have to pitch in and do the things that we can do. Thank you so much for reading and sharing your thoughts. One other way to help is to buy used when possible. It takes more effort (generally you have to go to a store), but most of the secondhand stores that I shop at also support causes that help others through their sales.